With the first time buyer schemes available in 2019, there couldn’t be a better time to invest in your first home. From the government Help to Buy scheme to shared ownership, there are a range of options available to help buyers take their first step onto the property ladder. In this article we will look at two of the main house buying schemes available, and share all you need to know about buying a home using a scheme. The Help to Buy scheme is a government-backed initiative that is helping people onto the property ladder for the first time. 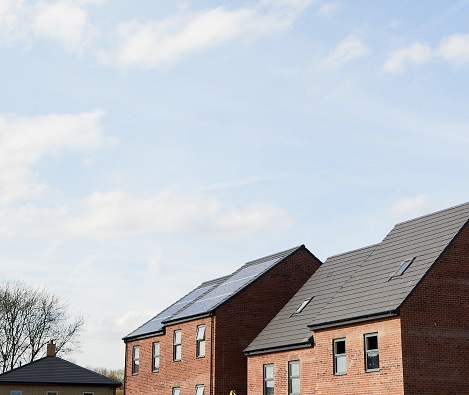 The scheme, which will run until 2020 with an extension to 2023 for first-time buyers, enables you to buy your new home with just a 5% cash deposit and a 75% mortgage from a lender. The remaining 20% is taken as an Equity Loan from the government and is paid back anytime within 25 years or when you sell your home. The Help to Buy Equity Loan has helped over 170,000 people buy a new home, with more than 80% of those using the scheme to buy their first home. What are the Pros of the Help to Buy Scheme? The Help to Buy scheme has plenty of pros when it comes to buying your first home. How long is Help to Buy available for? The initial Help to Buy: Equity Loan scheme as we know it, which can be used by both first time buyers and current homeowners looking to upsize, will run until 2020. However, there has been an extension announced by the government which will see the Help to Buy scheme run until 2023 for first time buyers only. This extension will also come with property price caps which will be set per region. How do I Apply for Help to Buy? To apply for the Help to Buy scheme you’ll need to register with a Help to Buy Agent, which can be done through the home builder you have chosen to buy your new home with. When you buy a new home with Strata, our panel of independent financial advisors can help you determine if Help to Buy is right for you, and register you with a Help to Buy Agent to make your application. The heylo Home Reach scheme is a part-buy-part-rent scheme, sometimes referred to as shared ownership, that can help first time buyers get on the property ladder sooner. With Home Reach, you can buy between 50-75% of your new home now, and rent the remaining share at a small rental fee per month. You have the option to buy the remaining share at any time, or continue to rent the remaining share. If you’d like to find out more about how buying options including the Help to Buy and Home Reach schemes could help you to buy a new Strata home, find your nearest development and come along for a chat with our team.